We’re constantly improving our safety-enhancing technologies and gaining advanced certifications that boost our knowledge and level of awareness at Venture Construction Group (VCG). This means we can sleep better at night, and you can too. We recently expanded our office headquarters with state-of-the-art technology that we use to monitor multiple jobsites and provide the best level of service for our valuable customers. VCG holds numerous accreditations by industry leading organizations. We’re proud that we’ve also received nationally-recognized awards in construction and restoration. 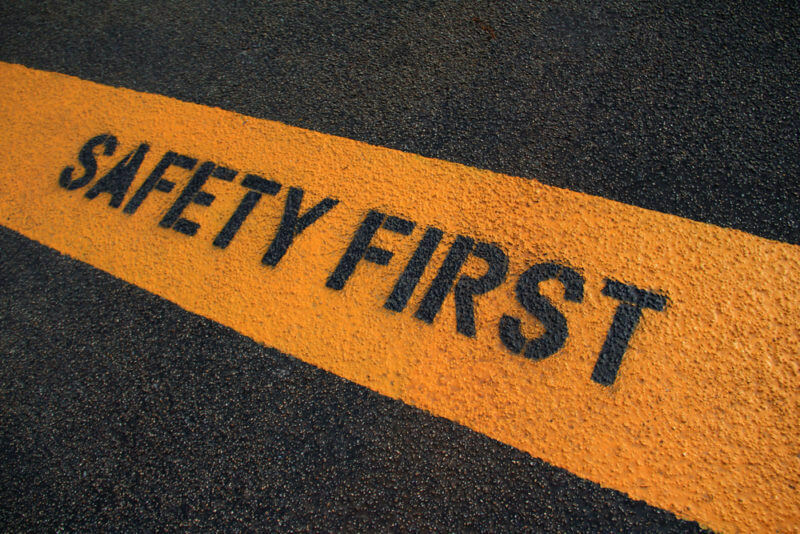 With over 20 years of experience, your safety is important to us, so we’ve integrated the most advanced technology on the market into our operations to exceed safety standards and best practices. VCG staff, including office personnel, administrative staff and field teams earned Occupational Safety and Health Administration (OSHA) Awareness Training Certifications in September. We believe it’s imperative that everyone on our team maintain the leading safety certifications. Earlier this year, we hired three highly experienced OSHA Safety Monitors. Along with our CEO Stephen Shanton, the VCGFL OSHA Safety Team holds OSHA 10, OSHA 30 Certificates and the OSHA 100 Management Certificate, as well as CPR/ AED Certifications. Our Senior Management Team holds the OSHA-30 Certification. These certificates provide advanced awareness and education regarding health and safety issues to educate both supervisors and employees on potential workplace hazards and risk mitigation. OSHA has had a staggering effect on safety in the workplace in the last 50 years. This federal committee creates safety standards for many industries and they base these standards on meticulous and uncompromising good old-fashioned research. OSHA is also an enforcing agency that encourages workplace leaders to integrate high standards of safety through ongoing education. OSHA cites the following “Fatal Four” activities as responsible for more than half (63.7%) of construction worker deaths in 2016. As you’ll see, construction safety is a very big issue. What Is The “Fatal Four” All About? This is serious stuff and one of the reasons why we maintain our vigilance when it comes to safety in the workplace, especially in our high-risk construction industry. 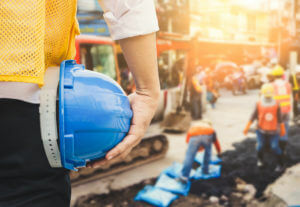 According to OSHA, “Out of 4,693 worker fatalities in private industry in calendar year 2016, 21.1% were in construction — that is, one in five worker deaths in the last reporting year were in construction. The leading causes of private sector worker deaths (excluding highway collisions) in the construction industry were falls, followed by struck by object, electrocution, and caught-in/between. Eliminating the Fatal Four would save 631 workers’ lives in America every year. Our entire team at VCG holds First Aid, CPR/ AED certifications. Once again, all members of our staff are required to attend our ongoing training sessions, including our disaster recovery specialists, emergency response teams, field superintendents, foremen, production managers, administrative staff and office personnel. In this industry, we believe it’s crucial that everyone maintain this level of education. We are proud to boast that we’ve integrated the latest and greatest state-of-the-art technology across the board to maintain the highest level of safety possible. Our office includes a massive Video Wall of nine HD televisions that livestream all of our jobsites, multiple weather channels and news stations. We monitor our jobsites 24/7 with EarthCam webcam services and 4G LTE TrueLook cameras that provide project time-lapsing video and high definition security on our projects in progress. This technology allows us to protect our properties, staff and critical infrastructure, and of course, our clients. We are committed to protecting your investment, every step of the way. We use Matterport 3D cameras that record a full-scale 360-degree 3D view of our jobsites. With this technology, we use the webcams to monitor and document our construction projects with high resolution megapixel cameras and we can view all jobsite activity in real time. We also use a Digital Touch Screen Table, which provides an interactive presentation and display environment that truly enhances the way we work, before, during and after the project. There is A LOT of documentation to review and the devil is in the details in our line of work. We can gather the team, engineers, architects, OSHA Safety Monitors at the table to view our project plans, scope of work, photos, details and satellite imagery – on zoom mode! Also a bonus: paperless productivity means we use less trees – WIN! We’re very excited about these upgrades to our safety toolkit. 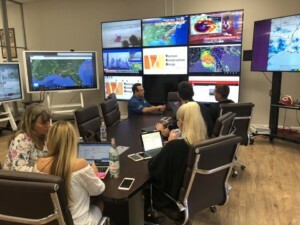 Our Video Wall provides an amazing way to watch multiple TV stations on multiple screens simultaneously, and that is an absolute necessity during major storm events. Remember that anchor faking the heavy winds of Hurricane Florence? Unfortunately, so do we! Definitely couldn’t miss that background detail on our advanced HD TV displays. This inaccurate reporting is simply wrong, and especially disturbing for those affected by destructive storm events. As a construction and restoration company, we believe it’s important to provide the most accurate information and property owner education along the way. We vigilantly maintain the nation’s leading storm damage accreditations, industry certifications, accreditations and memberships. 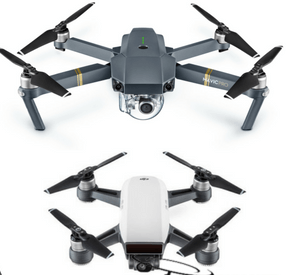 When the technology first hit the market in 2015, VCG was an early adopter of utilizing drones during the inspection process to provide a rich level of detail and documentation for our residential and commercial clients. Drones have come a long way since then, and we continue to utilize the most advanced drones to provide the best level of service. Aerial drone photography and video provides essential information and has been a game-changer for the construction industry. Drone footage paves the way for improvements in construction management including roofing and building inspections, mapping and surveying services. We also utilize thermal infrared roof scans and inspections that can instantly detect leaks and moisture intrusion. Utilizing drone footage ensures a higher level of accuracy in project assessments while also reducing inspection time and costs for the property owner. It’s a triple win! You can count on VCG to have your back when it comes to implementing the most advanced safety standards in the industry and constantly evolving with the latest technology and best practices. Your peace of mind is our priority.